Posted by Argos. August 7th 2015. Cutting the nails of your beloved dog or cat is an essential part of any precious pet’s grooming regime. 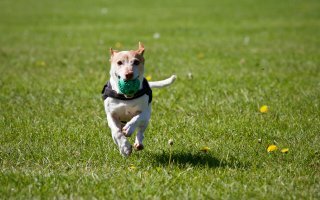 But if you want the process to be stress free (for you and your animal), here are a few hints and tips to follow. 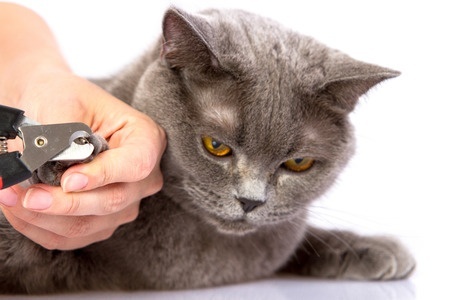 Why should you cut your pet’s nails? Trimming the end of a dog or cat’s nails is something you’ll need to do regularly in their lifetime, which is why it’s important for it not to be a negative experience. Clipping is a good idea, though, as it will help to prevent your clothing or soft furnishings from getting snagged. It will also stop damage occurring to your pet’s paws, as well as reduce the risk of unwanted injury to other cats or people. Cutting the nails of any pet can be painful if you trim too much in one go, so remember to only clip off a little bit at a time with your special dog nail trimmers. Whilst you’ll need to hold your dog’s paw fairly tightly, this will feel alien to them and you must ensure the process doesn’t become too stressful. When looking at a dog’s nails, it is the white tip which needs to be clipped off and not the pink part, which contains blood vessels. Start by trimming just a tiny amount and try to ensure the process is a positive experience for your dog. Some nail trimmers are available with a guard which only lets you clip a small amount of nail. But when you gain in confidence, and your dog is more at ease, take off a tiny bit more. For dogs with black nails, remove even less at the start and keep a close eye out for a circle in the nail’s centre. This indicates a blood vessel is present and is a sign to stop clipping. Ensure you have some styptic powder on hand to stop any bleeding if you do cut a nail too close. Unlike dogs, our feline friends have retractable claws which are very sensitive so don’t apply any pressure to their paws or they will try to bolt. Make sure your cat or kitten is calm and relaxed and, if possible, being cuddled by a familiar face to make them feel more secure. Now, the key is to clip one nail at a time. Stop after each one and continue with this approach until every nail is at the required length. If your cat becomes stressed, anxious or looks uncomfortable, there’s nothing wrong with taking a break. Don’t set yourself the aim of doing all four paws at once. You can even leave it an hour or a day if you have to. Patience is the key. Your aim is to clip the tip of the nail, not the area of pink skin with veins. However, if you do trim a nail too close and your pet starts to bleed, styptic powder will help to clot and stop the bleeding. For information around cutting cat nails, read our cat grooming advice on the We Talk Cat blog.